Chicken changezi is a very delicious and spicy mughlai dish.It is known as a side dish with rich gravy and full of mughlai aroma.It is very famous in north india. Take a frying pan and add oil. 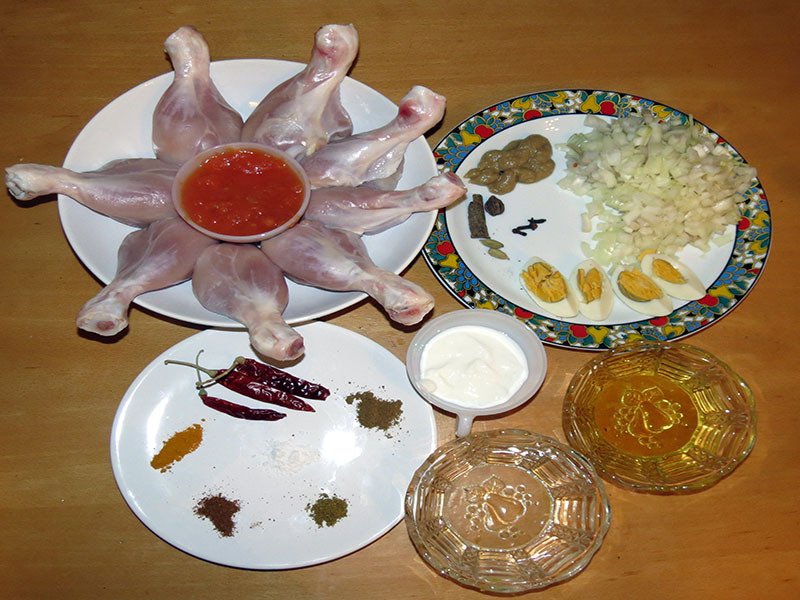 Fry all chicken leg pieces and set aside. red chilles and onion and fry the till the onion are golden brown. Now add ginger-garlic paste and tomato puree,salt and saute for a min. Then add turmeric powder,cumin powder,coriander powder and continue stiring. Add curd and garam masala and fry them till oil comes out. Add fried chicken leg pieces in the gravy and mix well. Add kewra water and saute for 5-7 mints. 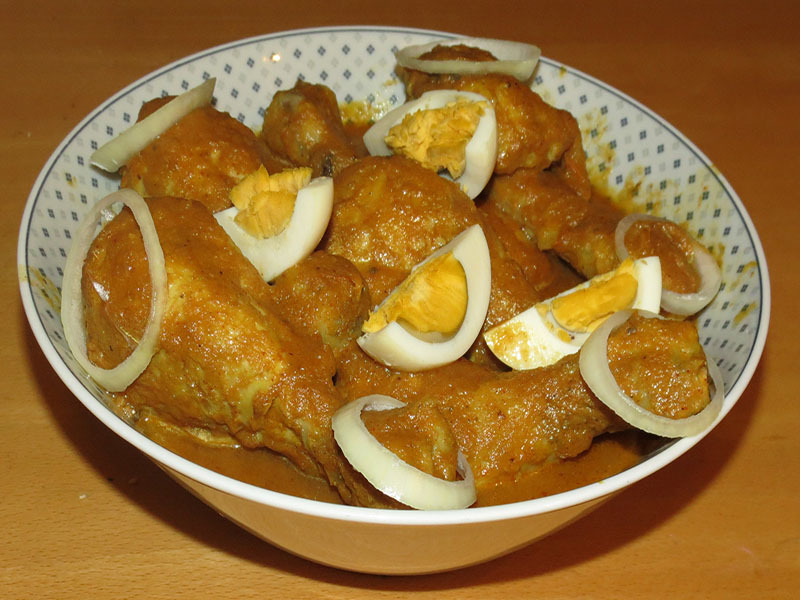 Now Chicken changezi is ready to serve. Serve it hot with nan,roti or plain rice.